Are you looking for unforgettable accommodation or perhaps a luxurious honeymoon destination? Built partly underground, the imaginative Northern Lights House is equipped to meet even the most demanding needs of a small entourage (max. 4 adults and 2 children). The landscape windows offer a view of the slope in the day and a stage for the Northern Lights as night falls. In this room, you can spend the night in a wilderness cabin atmosphere arising from the pine panelling and custom pine furniture. The bathroom is also decorated along the same theme, even though it features all mod cons. 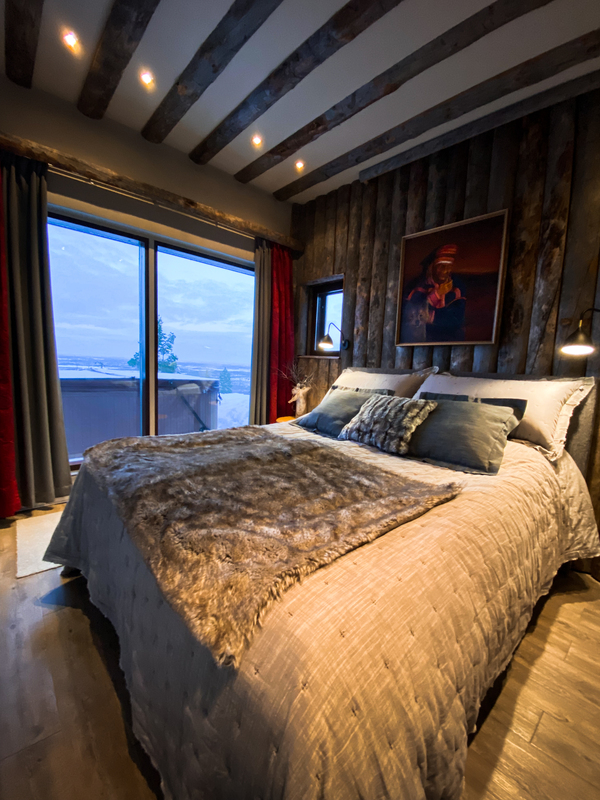 Access to the private terrace of Northern Lights House is next to the Lapland Suite, and you can admire the fell landscape and northern sky with all the phenomena through its landscape window. 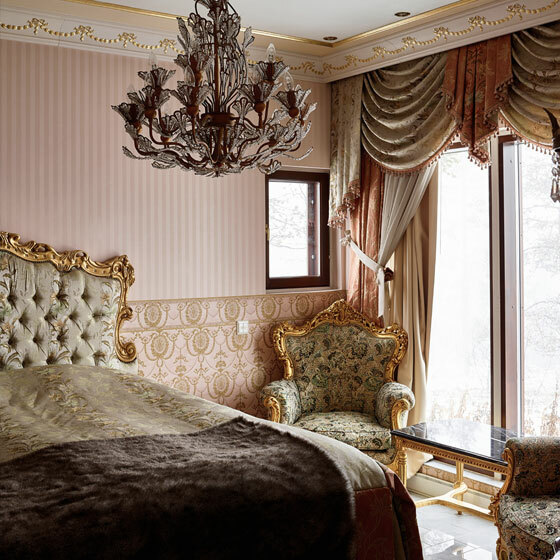 This suite was inspired by the Palace of Versailles. The interior decoration is in a luscious and luxurious baroque style all the way up to the wallpapers. The Golden Suite naturally has its own shower and bathroom. The view over the valleys to the fell and northern sky can be admired through a landscape window or stepping through the door onto the terrace. In the 55 m2 living room, the most striking thing is the curved ceiling with a northern sky and northern lights realised stylishly through lighting. 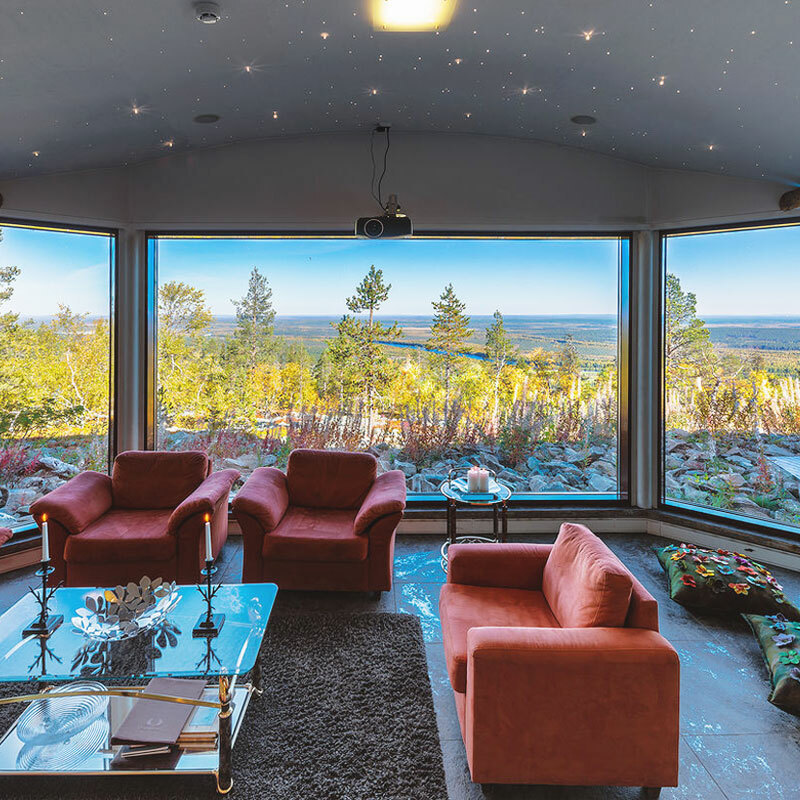 The panorama window covering the entire width of the room is suited for admiring the fell landscape or Northern Lights. 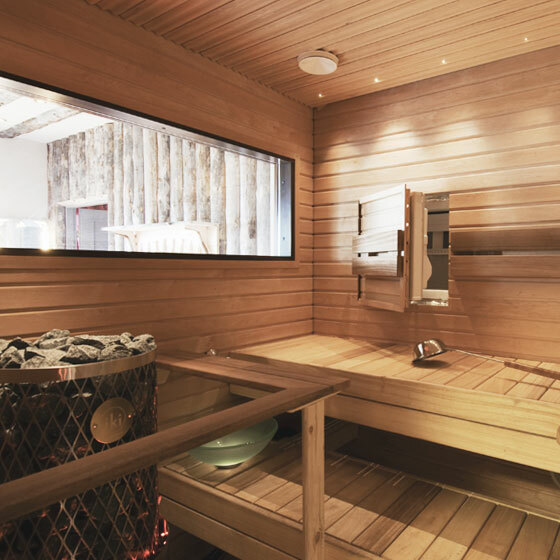 A private sauna compartment offers luxurious relaxing moments for those staying in Northern Lights House. The sauna has a wall-mounted refrigerator for enjoying cold drinks while sauna-bathing. 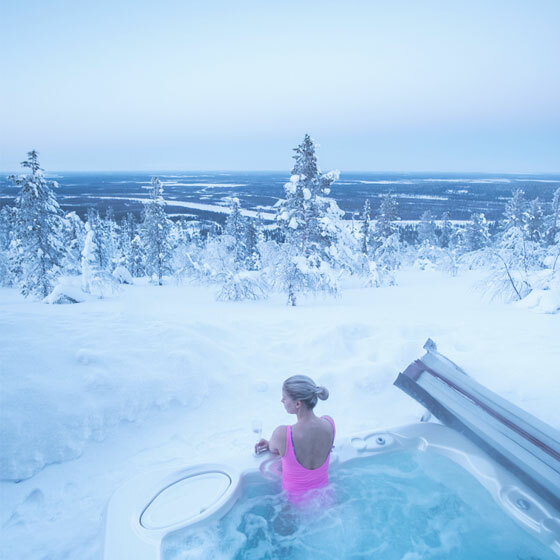 The sauna changing room features access to the building’s private terrace and hot tub in which aurora borealis hunting can be combined with a luxurious pampering moment. 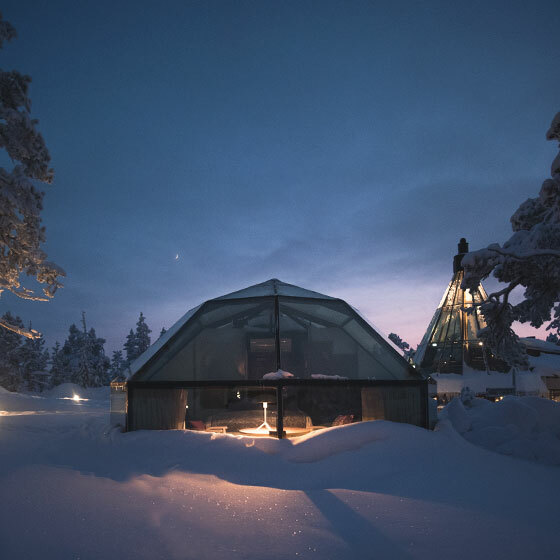 Spending the night in a glass igloo with the starry sky overarching your bed is an unforgettable experience that no one staying with us should skip. We offer groups staying in the Northern Lights House a package that also includes a night in an igloo. Please contact our sales for further information.